DEC. 1, 2017 (ORLANDO, FL) ECS once again won best of category at the Serious Games Showcase & Challenge held during I/ITSEC 2017. The company was recognized in the Government Developed category for its Goals of Care Conversations, an application created for the Veterans Health Administration (VHA) – U.S. Department of Veterans Affairs. Goals of Care Conversations enables health care professionals to develop and practice soft skills and proper communications techniques to care for seriously or chronically ill patients. The application was designed in conjunction with three other simulations, Tele-ICU, Crash Cart and Choosing Wisely. The package benefits thousands of VHA health care professionals who train at the VHA Simulation Learning, Education and Research Network’s National Simulation Center, which is one of the most technologically advanced health care training centers in the Department of Veterans Affairs. The Center was the first in the country to employ immersive training applications in support of VA’s hospitals and clinics. ECS has won numerous Serious Games competitions through the years for its simulation learning tools. ECS is an award-winning solutions and services company located in Orlando, Florida. The core mission of the organization is to provide instructionally sound, advanced learning solutions to clients within the commercial and government sector. 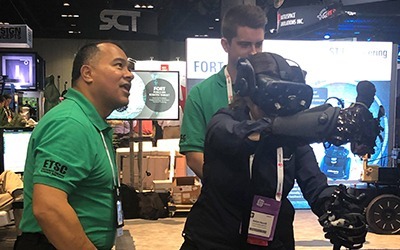 ECS’s technology portfolio includes intelligent tutoring, competency-based technology, immersive virtual worlds, serious gaming, performance assessment, crisis preparedness and response, staff training and mobile innovations. 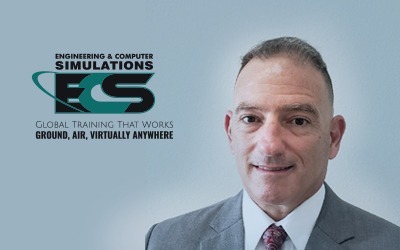 ECS’s services division provides on-site instructors, operators, and coordinators to clients globally. The company supports efficiencies in operations, education, training and collaboration.